"The hotel is beautiful, extremely well maintained, and well..."
Have a question for Ping Nakara Boutique Hotel and Spa? "Good Breakfast, just a few minute walk to Anusam Market Walking Street." "Close to nature with luxury essence, good food andgreat room..."
For exceptional service and a grand experience, visit the Ping Nakara Boutique Hotel and Spa. Rated 5 stars, the hotel is great for experiencing a truly lavish vacation. It is equipped with air conditioning for your comfort. This hotel is near Alliance Française, Chai Mongkol Temple, Wat Chai Mong Khon, Phajao Gawira Monument, and TAT office. Overlooking the street, pool, and garden, it offers amazing scenery. It has several convenient features, such as a salon, a currency exchange, a library, a number of shops, and safety deposit boxes. The hotel features a garden, a spa, a hot tub, and an outdoor swimming pool among other great facilities. The Ping Nakara Boutique Hotel and Spa has a bar, a coffee shop, restaurants on-site, BBQ facilities, and a poolside bar, so there is an assortment of dining and snacking choices. With Thai, American, and Asian restaurants nearby, the hotel is located in an ideal area for those who want to enjoy delicious cuisines when eating out. Have a tasty meal at Family Food, Yorgi's, Tum Tong Tang, Namton's House Bar, BTC Lametayel Chiangmai Restaurant or other eateries nearby. Offering tours of the area, it is a great spot to stay to learn about your surroundings and see everything you can while you're here. Massages are available, meaning that you can stay in the area and spend the day relaxing and indulging yourself at the massage place nearby. 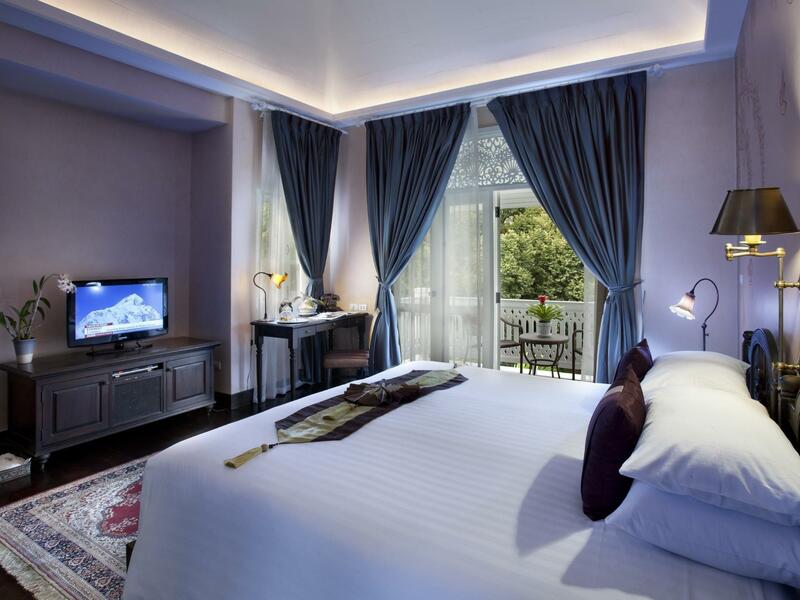 From a concierge to dry cleaning services, the hotel has a number of useful services to ensure that you get the most out of your time in Chiang Mai. It has numerous transport options including airport transfers, taxi services, bicycle rentals, car rentals, and shuttle services. With pet-friendly facilities, the Ping Nakara Boutique Hotel and Spa is suitable for pet owners who can't imagine a weekend away without their whole family. There's free Wi-Fi available in all rooms, as well as Wi-Fi in common areas, ensuring that you are always able to contact your friends and family back home without splashing out on foreign data charges. This hotel provides an express check in and check out service, enabling you to avoid stressful delays when preparing to catch a train or plane home. With an around-the-clock front desk, it guarantees that there is always someone on call to help you with any questions at all hours of the day or night. Featuring a kids club, this hotel offers parents a secure childcare option to keep their children busy. Chiang Mai Railway Station is 1.4 km away. "Beautiful, well kept, great staff, amazing rooms, gorgeous p..."
I’m very particular about hotels, and the Ping Nakara exceeded all of my rather high expectations. 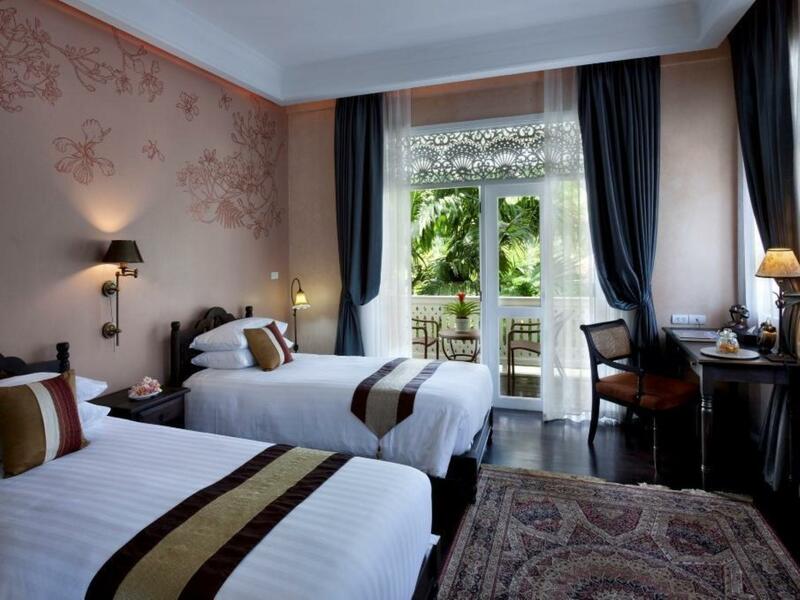 The hotel is beautiful, extremely well maintained, and well located for tourists. The staff are wonderful - very friendly, helpful and attentive to guests. Food in the restaurant is very good, especially the Thai food they prepare at dinner. The spa is also top notch, and worth trying. It is a lot more expensive than even the really nice spas in town, but it’s a lovely setting and they offer a first class experience (try the ginger tea at the end - I’ve never tasted anything like it, outstanding). Unless you stay at the (supremely expensive and very remote) Four Seasons, I can’t imagine there is a better hotel in Chiang Mai. I loved it, and I will return. My wife and i booked this lovely colonial hotel in Chiang Mai, The porters were immediately on hand as we walked in. The reception staff then asked us to sit down to complete the checking in process. You can see that someone paid a great deal of attention to the decoration/details. it has a warm feel whilst using antique throughout the hotel. if you are looking for a smaller hotel centrally located, but away from the 1,000's of tourists, well this might just be the place for you. i would certainly return and would recommend the place, my only comment is that the breakfast offering, whilst good, could be improved. there is a nice pool and spa, and just few meters from the hotel, there is also a riverside cafe (le Jardin du Nakara), where you can have light bitted and afternoon tea. Good Breakfast, just a few minute walk to Anusam Market Walking Street. Suggest spare some time to enjoy the study and swimming pool. Nice place. But be careful of the carpet in room which was not stay fast on the floor and also the mosquitoes when breakfast. 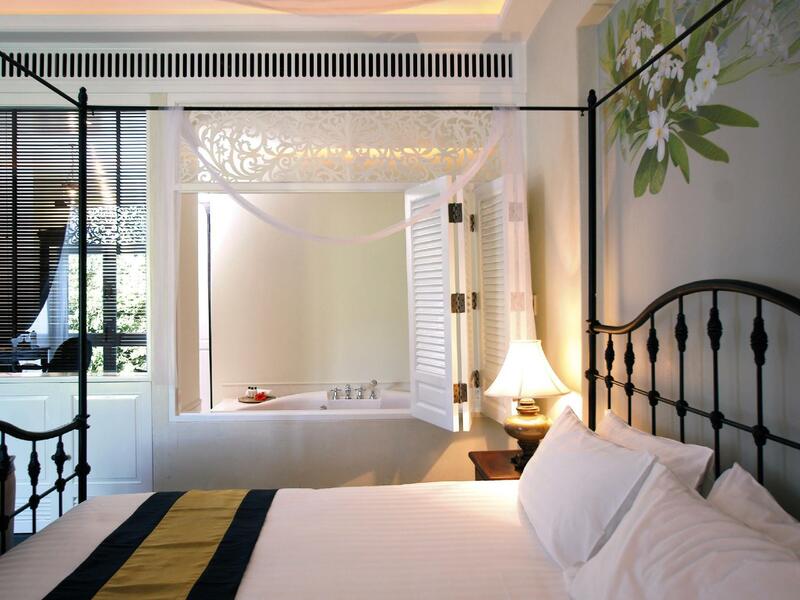 A very charming boutique hotel with a touch of Thai elements. Very attentive staff and you can actually feel that they are doing their very best to make sure you have a blissful experience during your stay. Not so commercialized like the international-chained hotels, Ping Nakara offered a very homey and cozy environment gave us a brand new experience. They even prepared sandwiches with juices for us to take away when we checked out at 5AM knowing we had a morning flight to catch!? p/s: Delicious breakfast too =D Thank you Ping Nakara for the pleasant experience. A new hotel designed in the colonial style, with beautiful wood appointments, nice interior decoration and a beautiful setting once inside. The hotel is on a pretty busy road and I worried that noise might be a problem, but once inside the room it was extremely quiet. This is because of the unusual layout of the room: when you enter you are immediately in the bathroom, which you have to walk through to get to the bedroom. This was off-putting at first but the staff explained it is to provide a buffer between the noise of the street and the room - and it worked fine! The staff was helpful at every instant, and I enjoyed afternoons and evening in the library or in the quiet small bar. I would happily stay here again. Exceptionally beautiful hotel and great service from staff. But room was a bit of a let down in terms of design / standard. I was given a connecting room next to a family with kids and the noise was unbearable. Given the old classical theme, the connecting doors should be given some treatment to shield off noise and not just for the sake of aesthetic purposes. Great breakfast selection, quiet and quaint little hotel which it would be a gem if not for the privacy of the rooms and guests have been overlooked. Fantastic stay. Staff embody Thai hospitality at its best. Deluxe room big and comfortable. Breakfast excellent. We ate dinner at the hotel all three nights as the food was fantastic. Spa was exceptional. Certainly you can dine and enjoy a spa outside the hotel for less baht, but you will not get the same quality or service levels. Treat yourself to a ride to or from the airport in the vintage Mercedes. Fits perfectly with the theme of the hotel and harkens back to yesteryear. Bask in the colonial ambience created by the team at Ping Nakara. We did and we will be back. We've stayed 3 nights in Ping Nakara and it was exceptional from the very first second. The hotel is so well designed, with attention to every little detail. I like beautiful objects and architecture, and they have managed to exceed my expectations. We had a top floor room with a small balcony overlooking the right side of the pool with a view on luxuriant vegetation. The rooms are very well decorated and comfortable, I felt at home for the entire duration of the stay. We also went for a 2-hour massage and it was a delightful experience. The staff is well trained and it was one of the best massages I have ever had. I would definitely go back to this hotel every time I have the chance traveling to Chiang Mai. Superlative service from everyone. The furniture was a little dated but only adds to the charm, bed and pillows were very comfy, shower was fantastic. TV channels were very limited but wasn’t important to us. Breakfast was a little limited in variety but quality was very high - delicious. Dinner was enjoyable and better meals are walking distance away. Spa was fabulous. Would definitely stay there again. My wife and I travel frequently. This hotel rates among the finest in which we have stayed. The attention paid to the smallest of details creates and aesthetic that is just a feast for the eyes. You know this is the case when the only negative we can find is that there is not a convenient hook in the bathroom to hang the complimentary robe! The staff was always pleasant, courteous and very helpful. Their only desire was to make our stay as comfortable and pleasant as possible. Bravo...just an outstanding facility! Recently my wife and I stayed for 5 nights in the Ping Nakara. We could not fault it. Our room was spacious with a lovely verandah overlooking the pool. The pool itself was quiet and relaxing - just what you need after a day walking the streets of Chiang Mai. All staff were very helpful and friendly. Breakfasts were excellent. We also had 2 evening meals at the hotel which could not be faulted. I liked the location as it was close enough to walk to the main areas in town, but far enough away so that it was quiet. A great hotel and we will be back. This is our second stay at Ping Nakara in Chiang Mai and we loved it just as much as last time. Our room was beautifully decorated with a huge balcony. Breakfast is delicious with great choices for both the Asian and western palate. Staff are friendly, attentive and helpful. The ride back to the airport in the hotel's 1970 Mercedes was a fabulous finish to our stay. Every time we came to Chiang Mai, we will stayed in this hotel. 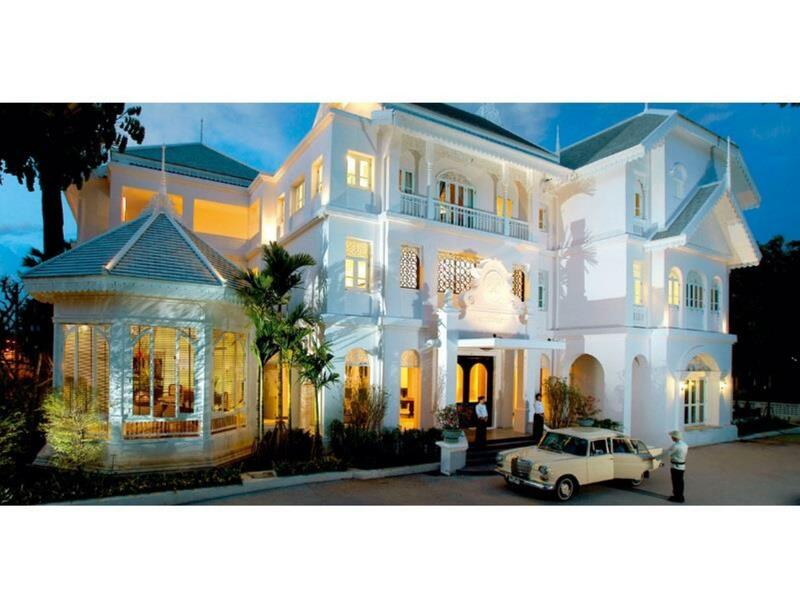 We felt like staying in a Lana style traditional elegance mansion with excellence service. We enjoyed the room with large balcony , the library room, pool. The food in the hotel restaurant is very delicious , great breakfast with local choices. Staff are very helpful and even the tour operator gives very good recommendation and services. We will come back again and again. Hotel is near the night bazaar within 10 mins walking road but very quiet. Efficient check in and laundry service and intimate room service. Nice breakfast and outdoor swimming pool. We received a pair of ceramic elaphent as souvenir. It's the best living experience in Thailand!! Super cozy and stylish hotel. Great staff, awesome pool, good food and drinks, amazing spa too. This place is also close enough to the action and nightlife to go have fun but not in the middle of the noise and craziness. I would definitely stay here again. 1. Speedy checkin with warm welcome by staffs 2. Breakfast with quality food and staffs that are always check if there is any news from you 3. Nice swimming pool with warm water(expose to sun directly) 4. Quiet environment but walking distance to town 5. Super attentive and friendly staffs 6. Speed checkout with surprise souvenir from hotel 7. Follow up service by GM after stay Only improvement is to install sound proof system to room facing main road Definitely will stay in this hotel again in future visit! Beautiful boutique hotel, very comfy bed and pillows. Big whirlpool bathtub, fantastic water pressure (shower head). On my first day there all other guests were out and it felt like my own mansion. Wide dark teak stairs, library beside the pool, smell of lemongrass floating in the air.. Slow down and enjoy this hotel and you will not be disappointed. Highly recommended.